Deuter adds a lot to their backpacks. Case in point, the Aircontact 65-liter backpack, starting with +15, a separate 15-liter day pack ready for adventuring from basecamp. This backpack features Deuter’s VariFlex suspension system that is easily adjustable and completely customizable to dial in a perfect fit. Pros: The torso was one of the easiest we’ve ever adjusted thanks to the VariFlex system: lift the handle and slide accordingly. The Aircontact Pro is full of features and room for storage, starting at the top with three separate zipping pockets in the brain alone, to the bottom with a sleeping bag compartment that’s larger than average and zips shut rather than having a simple partition that’s asking to lose things at the bottom of your pack. Rain fly, day pack, zippered front access, ice tool loops, trekking pole tie downs: this backpack is stacked. Cons: At just over 7 pounds, this is the heaviest backpack we reviewed, even more than the men’s Coyote 80 liter. Also testers felt the padding on the shoulder straps could be softer. 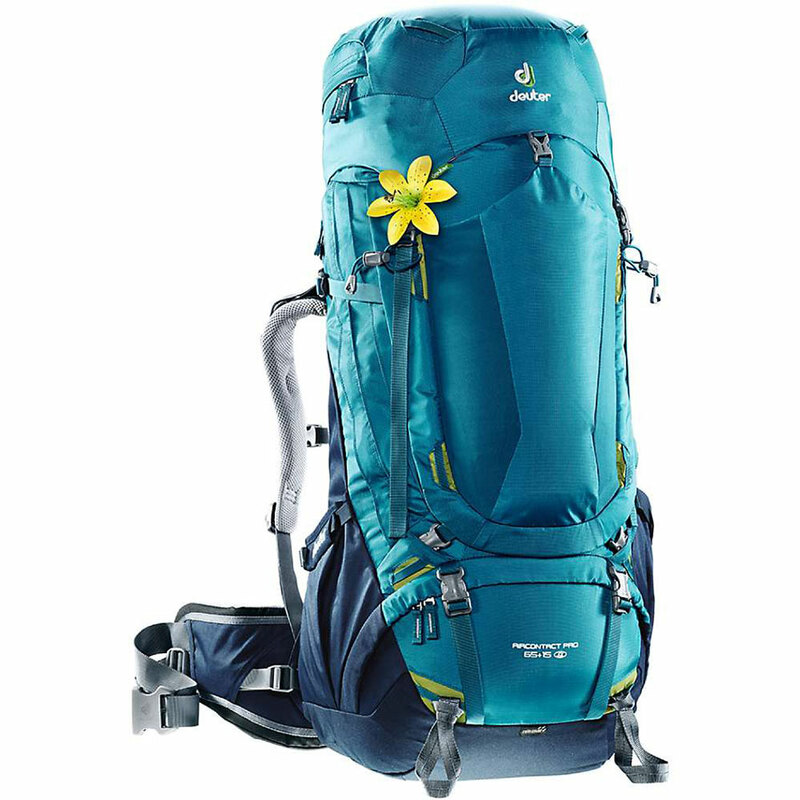 Bottom Line: While not a great choice for light and fast packing weight wise, the Deuter Aircontact 65+15L is solid for a multi-day or even weeklong trips. This backpack features Deuter’s VariFlex suspension system that is easily adjustable and completely customizable to dial in a perfect fit.